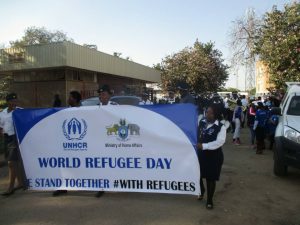 The Kingdom of ESwatini joined the whole world in the commemoration of the world refugee day on 23 June 2018. As the theme for this year states: “we stand together #with refugees”, the country made commitments to intensify its support to ensure better living conditions for refugees in the country. The Honorable Deputy Prime Minister Senator Paul Dlamini who was the guest speaker, announced the enactment of the refugee bill in December 2017, now the Refugee Act (Act No.15 of 2017), which was a milestone for the Kingdom and evidence enough to its commitment to the protection of people seeking asylum in ESwatini. He further pledged the continued support the government will extend to refugees moving forward. These generous words of the Deputy Prime Minister echoed the commitment by Caritas as an implementing partner in the regime of refugee protection, to expand its territory in improving the quality of life among refugees. Caritas pledged to facilitate the establishment of a community technology centre and a livelihood project on production of re-usable female sanitary towels in the refugee reception centre. 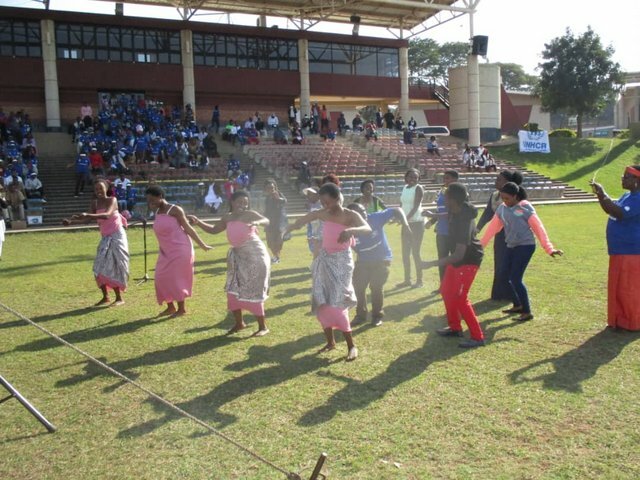 The day commenced with a march from Manzini town centre to the Mavuso Trade and Exhibition Centre, where the main event was held. The Kingdom’s goal for this year’s celebration of the lives of refugees was to increase public awareness about the plight of people fleeing their home countries in fear of persecution to seek asylum in other countries like the Kingdom of ESwatini. Awareness creation was seen as a possible solution to reduce hostility towards refugees in the country and uphold support to the people of concern. The march did draw the attention of thousands of people to matters concerning refugees. Throngs of people identified themselves with refugees by joining the march. 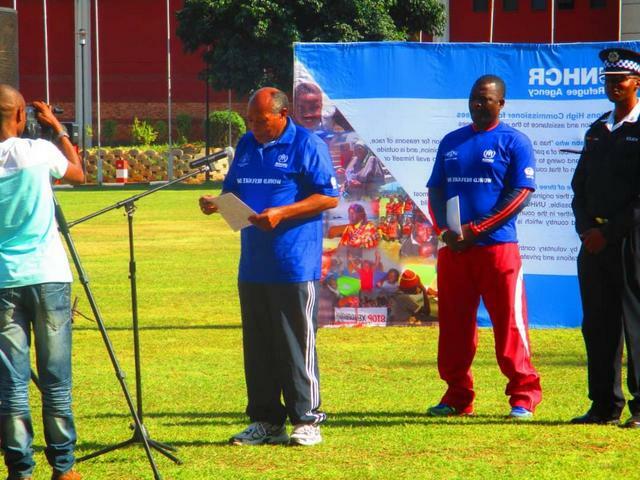 More companies and organisations were implored by speakers on this day to join in the support for refugees.